Coconut is an ingredient that I love. It is very versatile and easy to use in different types of recipes, sweet or salty. For example, I love to use coconut and its derivatives to prepare smoothies, curries, vegan béchamel, cakes, and even homemade popsicles. It is a food with an incredible flavor, full of healthy fats and that gives a unique aroma to any preparation. 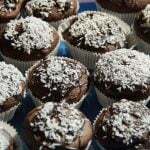 These cacao and coconut muffins that I propose are fabulous and perfect to start the day with energy, in addition to being 100% vegans are perfect for all audiences. P.S. : If you love coconut, as much as I do, I also recommend you these gluten-free coconut muffins. Phase 3 Serves: 4 - 6 Prep Time: 10 min. Cooking Time: 30 min. For the muffins: Preheat the oven to 338º F (170ºC). In a large bowl, mix the flours, the cacao, the sweetener, the bicarbonate and the cream of tartar. Mix well. Add vegetable milk little by little, mixing so that no lumps remain. There should be a homogeneous and creamy mass. If necessary, add a little water. Divide the dough into muffin molds. It is best to use a tray of muffins with 1-use paper molds or silicone molds. Bake for 25 or 30 minutes. For the decoration: while the muffins are in the oven undo the coconut oil in a pot and add the cocoa powder, little by little and the sweetener. Mix well until there is a chocolate sauce. 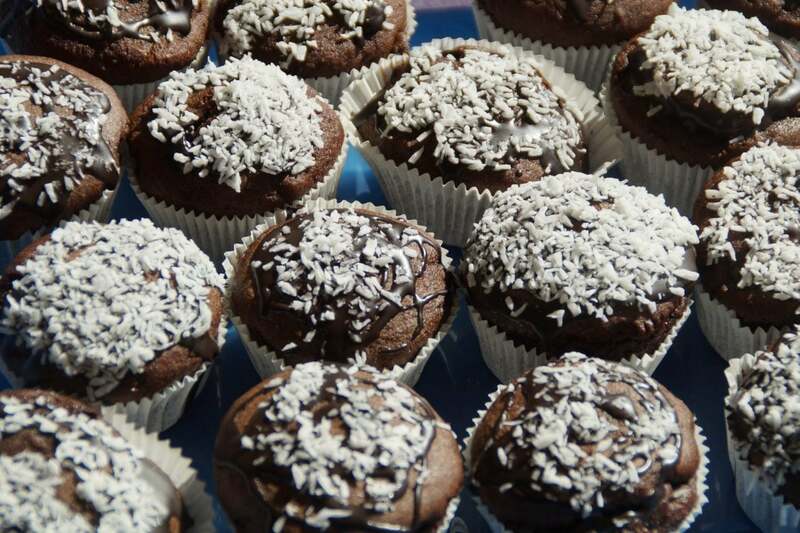 When the muffins are cooked, decorate them with the chocolate sauce and grated coconut and let the sauce solidify. 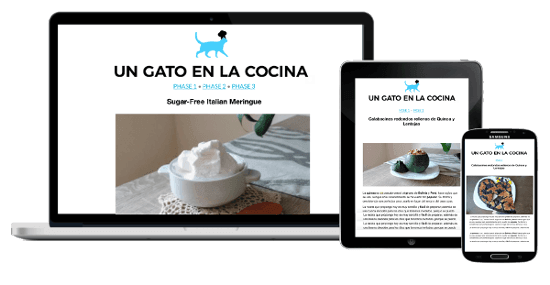 This recipe is compatible with the Fast Metabolism Diet – FMD Phase 3; With these quantities, you got 6 healthy fat servings and 6 grain servings for <20 pounds, or 4 healthy fat servings and 4 grain servings for >20 pounds. * In this recipe coconut or almond milk counts as a condiment.